So at approximately 2 a.m. this morning, I encountered seven more reasons to despise foxes, and one very good reason to despise myself. That was when I was jolted out of a dead sleep by the sound of a raid on one of my chick enclosures. 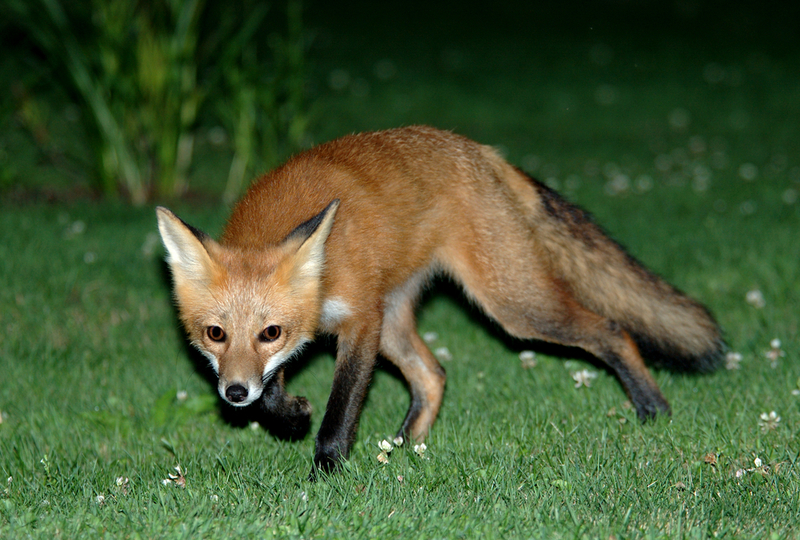 Our window was open, so HH hollered at the fox, who bolted for the field. I about broke my neck stumbling down the stairs and out into the night air, barely dressed and barefooted. If I had managed to catch that fox, nothing would have pleased me more than to lay my bare heel into its skull. As it was, the only damage I managed was to somehow tear half my big toenail off in my haste, a painful fact I noticed much later when the adrenaline stopped pumping. The chick runs had been left open. This was my fault. Big Momma and her babies. I found a neatly stacked pile of three large chick corpses cooling outside one enclosure, and the dead body of one of the smaller chicks inside the other run, about a pound’s worth of feathers from Big Momma, and one crying chick remaining, darting about, terrified. Big Momma reappeared, much to my relief, and her little white chick has been safely returned to her side. 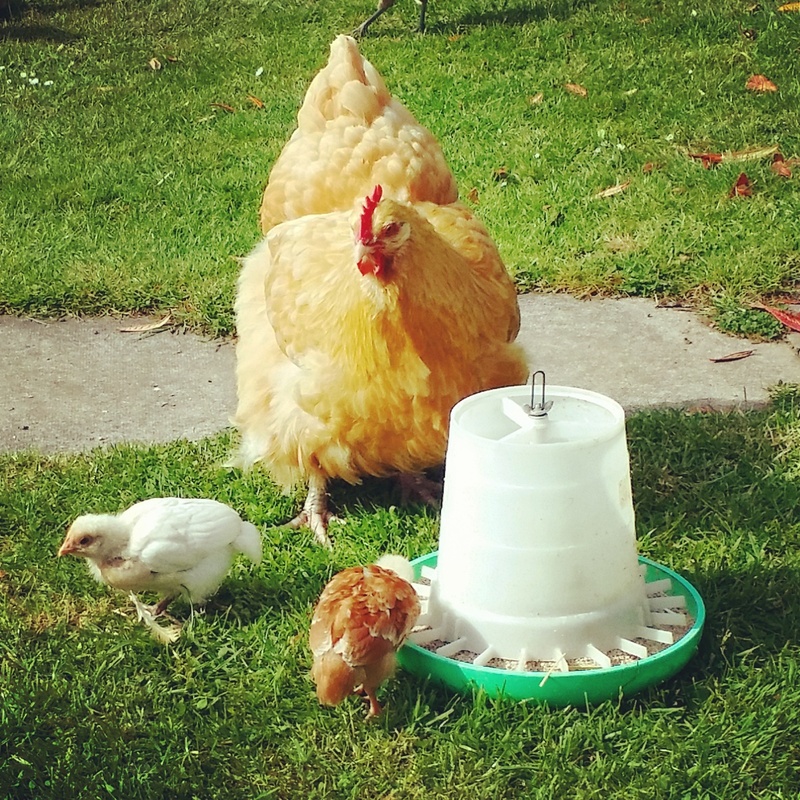 Fearing all was lost, I was surprised to hear the tentative chirping of my last remaining six-week old chick. Pingu crept out from under my car, probably spared only because it is solid black and hid more easily. I can only assume the evil fox made off with the other three larger chicks, since they were long gone. Feeling helpless, a bit tearful but determined, I returned to the house to put on my robe and wellies, grabbed a flashlight and went about the business of disposing of the four feathered bodies, their dead weight surprisingly heavy under their damp feathers. All the while, I mentally kicked myself again and again. Open doors. Easy pickings… Why had I not closed them up? 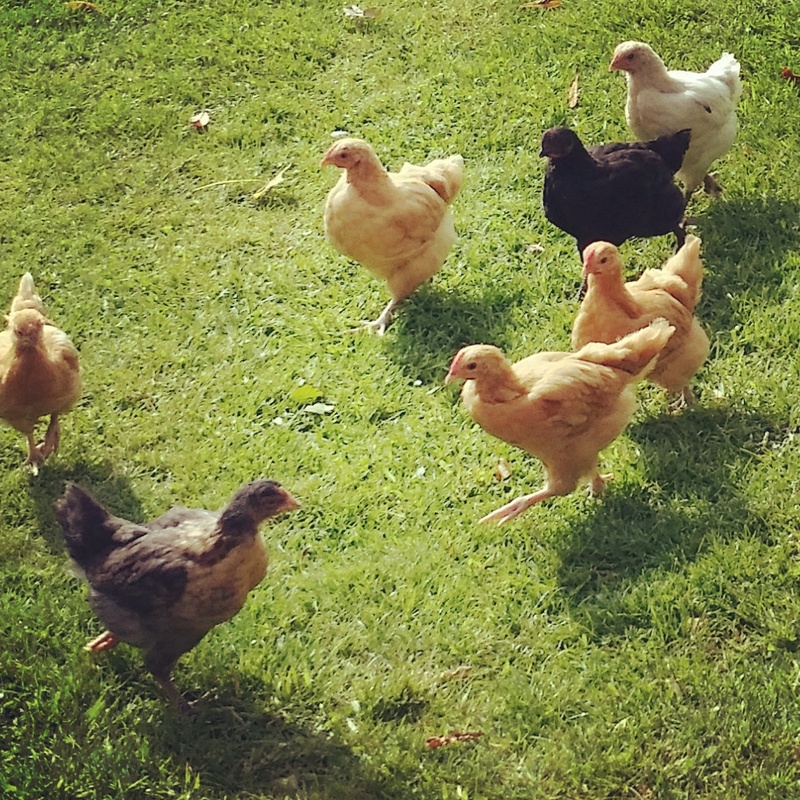 I put the rabbits away… I check on the chickens… how had I forgot to latch their doors? Pingu was naturally skittish and would not be caught, so I returned to my bed for about an hour and lay awake staring at the ceiling. Of course, the fox returned, and I was alerted by Pingu’s screams. Fortunately, this time I was successful and managed to chase off the fox again and to recapture a terrified Pingu. I cuddled his soft, black and vaguely smelly feathers up under my chin and chirped apologies into his ear until he settled down and his heart stopped racing. Poor little thing… his whole family – gone. I installed him temporarily in Fort Knox, otherwise known as the outdoor rabbit run, where he remained safely until morning. Our property is literally teaming with wild rabbits and pheasants. We practically trip over them. Still, seven sleeping chicks and an open door are easy pickings for the sly fox. He managed to kill six of them without us ever hearing a sound through our open bedroom window. I am gutted, yes, but guilty. Blame the fox as I may, he was only doing what foxes do. As a keeper of livestock, I am responsible for their safety, and I have let them down. I can console myself by saying “these things happen,” and gain perspective on remembering they are only chickens. I eat chicken all the time, don’t I? Still. It still doesn’t make this bitter pill any easier to swallow.